here i am looking at boarding passes and flying tickets in association with travel. I want to look into the aspects of travel and what you need in order to get into countries. Seeing as the women are trafficked all over the globe im looking at examples of boarding tickets. they all work on the same template and are digitally printed at the desk when you arrive. the other problem is, not a lot are trafficked by planes as they need passports but they tend to get taken off them. Its still good to have a look at them though and see what aspects i could use. 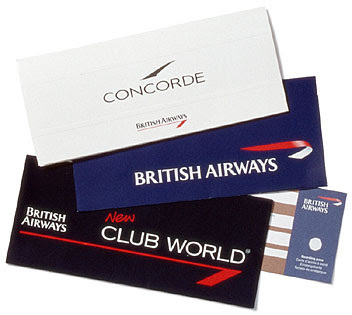 Above shows the packaging you used to get with your tickets for those who would travel first or business class. Now the women would defiantly not be using these but the traffickers might so i just wanted to see the packaging. They would have been printed lithography way as there will be a lot of them, although the tickets need printing individually these are standard.